A brief respite; return to mother earth. Men that have seen too much bloodshed take a moment to shave. 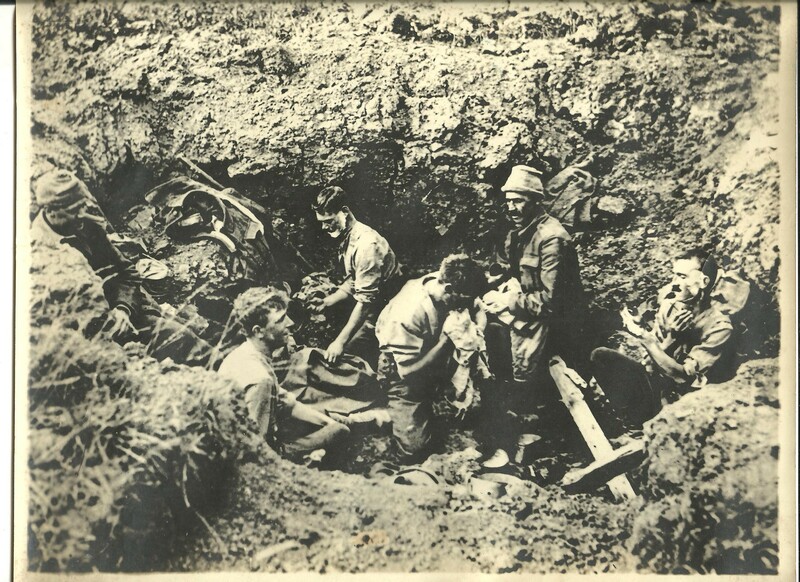 This entry was posted in Photo of the Day, primary resource, World War One and tagged France, Mont St. Kemmel, Old Photograph, photograph, Primary resource, shell, soldiers, World War One. Bookmark the permalink. Look how deep the mud is — at least they could get their faces clean, however briefly. Who among us has ever been that dirty, even for a full day? Thanks for this, Brushed With Mystery!